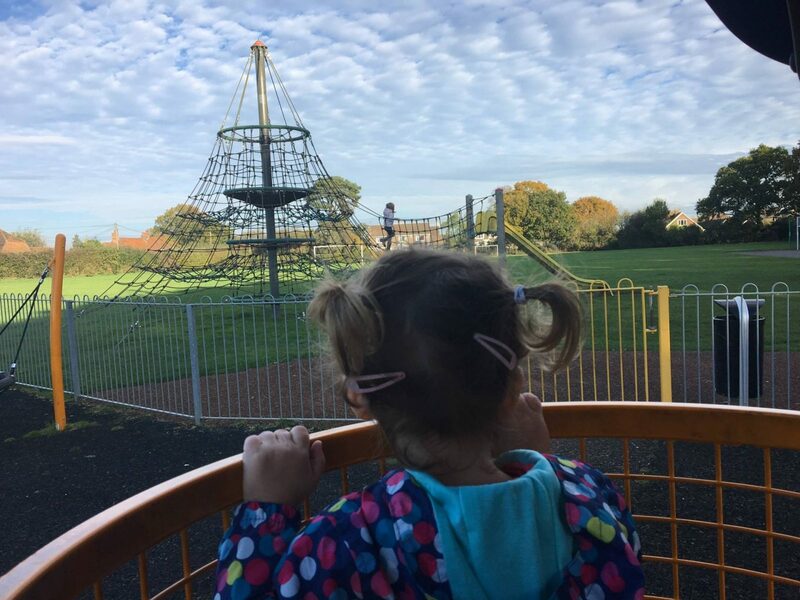 It was half term for us and we had a week of pumpkin picking, walks in the woods, trips to the cafe for hot chocolate and cake and going to the park. These photos were taken on a trip to the park. Whenever you ask my girls what they want to do, they answer with the park. They just love it! Alice can now do the whole assault type course they have at the park on her own and she was pretty happy about it! Oh bless them, isn’t that just the way at the moment with having two of them at such different ages. So close in age and yet developmentally two years is such a long time. Won’t be long until they’re both playing in the big park together. 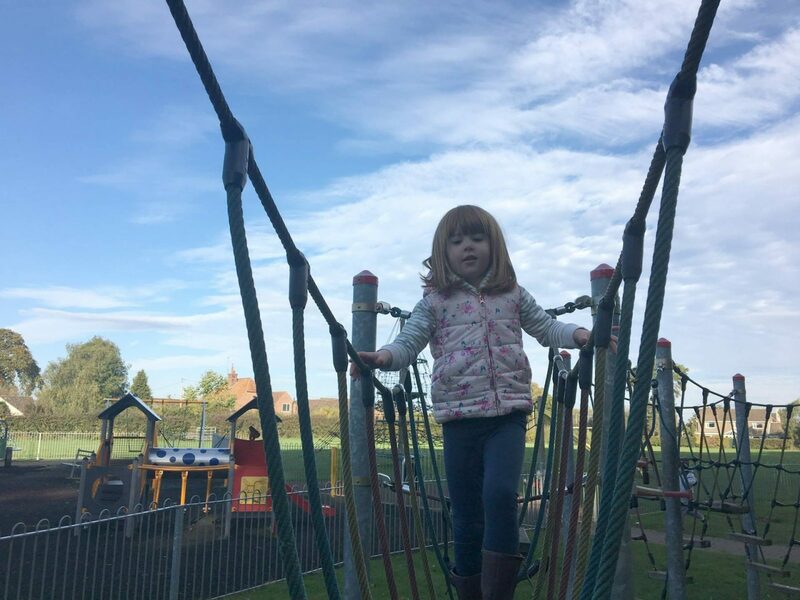 Oh bless, E is also doing a lot of the park assault courses too and to see her complete it is so wonderful.